Tweet Labels are being Worked on by Twitter for Reply Threads! You will soon be able to see a remarkable change in Twitter’s streams as the Social Networking service is adding tweet labels to streams in hopes of making it clear for people to identify who’s tweeting and to whom the tweet is posted for. 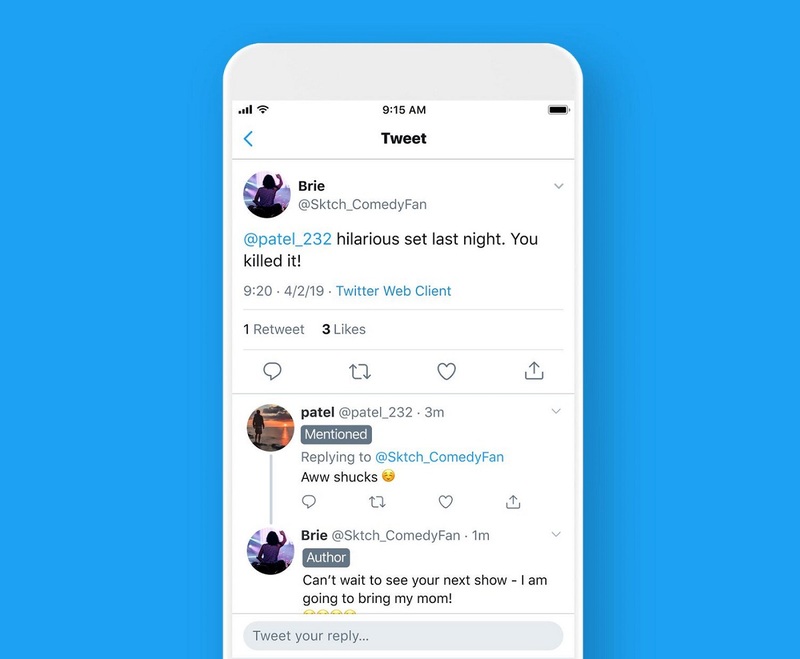 Twitter even tweeted a screenshot of the new feature in action, along with a caption that explained how the company wants to make things easier for users. As of now, three labels are being tested (1. Author 2. Mentioned and 3. Following). This will greatly help in identifying different responses. In addition to that, a color-coded version is also being tested, which will basically focus attention on responses where you are mentioned, and from the user to whom the tweet belongs. Twitter probably believes that introducing these features will make it easier for more people to understand and chime in reply threads, as currently there can be loads of users who hesitate in joining the conversation due to not understanding how reply threads work. However, not everyone thinks that this was a much-needed addition as many people believe that in this day and age, majority of the Tweeters are well-aware of such functionalities. However, if Twitter has put time and effort in working on these features, perhaps they should be important and the need of their addition should have been present. It remains yet to be seen if both, one, or none of these features are able to make their mark on the platform. Read Next: You can now Appeal Twitter's Decision for Suspending your Account, from within the App!